I have got 2 huge freaking pimples at the moment. I have been slacking in my evening skincare routine for the past 2 weeks. Meaning, I have been going to bed without cleaning my face at night. I know its asking for trouble when I do this because I have got oily skin which requires to be taken care of religiously[Why couldn’t I have had normal skin God, WHY?! ], but coming back home late after work and sometimes dinner/movie dates, the bed and the water have a battle in my head. The bed wants me to be comfortable, while the water wants me to get wet. The bed is clearly winning for the past week. NEED TO FIND A WAY TO BREAK THE DIRTY HABIT. Until then, I have to cover up the dirty inflammations. I thought I will show you guys how I do it. Usually, I don’t cover the pimples on a daily basis because putting on a tonne of makeup on them is going to clog them more and extend their life on my face. I don’t want that. I only cover them up when I am going out to have fun. In the meantime, I treat it. I have written a post on how to reduce a huge pimple overnight here. 1. Cleanse, scrub and tone your face. 2. If your pimple is really angry and red, apply a drop of any eyedrop on it, I use Tears Natural. This will reduce the redness slightly. 3. Apply your pimple treatments and moisturizers. Do NOT skip this step. Its very important to treat your skin even when you are wearing makeup. This will also act as a shield against any future flareup’s. 4. Optional: Once you are sure that the moisturizer is absorbed into the skin[I usually wait for 5 mins], apply a primer. Now this step is optional, if primers are not your thing, skip this step. I apply primers only because it will bring out the true color of the concealers and foundations and it makes them last longer. 5. 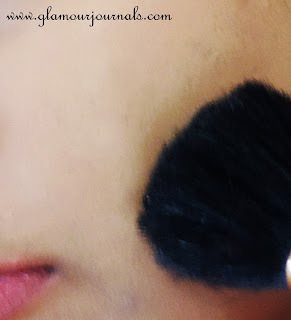 Apply your foundation and blend it out smoothly. Many people believe that concealers should be used before foundation, but I have experienced that, the concealer rubs off of the pimple or sometimes looks cakey when I apply the foundation on top of it. For the maximum benefit, its always better to apply the concealer AFTER foundation. 6. 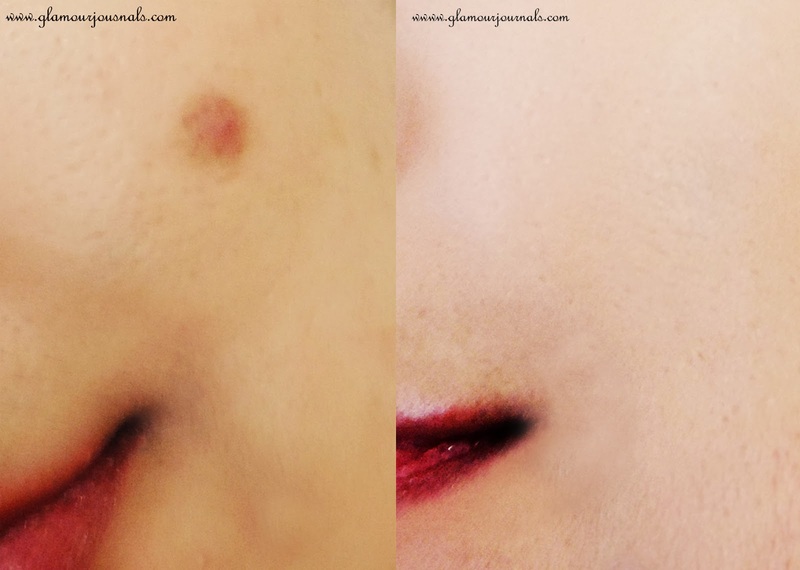 *IMPORTANT STEP* How to apply concealer on pimples: Dot your concealer on and around the pimple. Just dotting it on the pimple will make the pimple stand out even more, so its important to dot the concealers on and around the pimple. Once you have dotted it, press the concealer into your skin using pressing, blotting motions, using either a makeup sponge or your plain fingers. Don’t try to blend the concealer using stroking motions, this will create stroke marks AND rub off half the product. Keep pressing it in until its blended with the surrounding skin. 7. Load your kabuki brush with loose powder and apply it all over the face in circular motion. That’s it, your pimple should be concealed now. If its a huge pimple, the bump will not be completely concealed but following these steps will definitely conceal the redness and the prominence of the bump. Like this Article? Subscribe to Us for FREE Updates Whenever a New Post is Published!